Barbara Bucknam of Stew Leonard's (at right), with Beth Leonard Hollis, said the group is making strides in eliminating trans fats in in-house foods. Shopper Linda Hamillskonieczny said the FDA regulation will make shopping easier. Emily Woodward, owner of Get Baked in Windsor, said it's not easy for a small business to make the switch. Scott Smith, of the Max Restaurant Group, is talking to vendors for a list of items that might need to be substituted. Large retailers like Whole Foods eliminated artificial trans fats years ago. The food industry would have to reformulate recipes if the FDA eliminates artificial trans fats in processed foods. The U.S. Food and Drug Administration is taking steps to reduce artificial trans fats in processed foods. According to the agency, the move could help prevent 20,000 heart attacks and 7,000 deaths each year. This means manufacturers, retailers, and restaurants could have to reformulate some of their recipes. "The industry has to catch up. It takes a lot of trial and error." When hydrogen is added to vegetable oil through a process called hydrogenation, it creates artificial trans fats, or trans fatty acids. Food cooked in trans fats is cheaper, has a longer shelf life, and is less greasy. Stew Leonard’s, like other retailers, has voluntarily eliminated trans fats in many in-house brands. However, Barbara Bucknam, Director of Quality, said reformulations could drive up cost by as much as ten percent. "Trying to do the research," she said, "and trying to find out what is going to replace a hydrogenated fat in an item, and still make it have the same texture, taste, and flavor, is hard to do. It takes a lot of research. Those products are traditionally more expensive. This is relatively new over the last five or ten years. The industry has to catch up. It takes a lot of trial and error." Bucknam said many food manufacturers who sell their products at Stew Leonard’s, such as Pepperidge Farm, are also making efforts to reduce trans fats. Pepperidge Farm declined to be interviewed, but sent WNPR a statement saying the company has removed trans fats from most of its foods, and is now working to reformulate its remaining products. For small businesses, that’s not an easy task. Emily Woodward, owner of Get Baked in Windsor, said nearly all of her items don’t have trans fats, but she uses shortening in pie crust for taste and texture. It’s also cheaper than dairy, and has a longer shelf life. Now, she’s looking at other options. "Spectrum has a shortening that’s organic and has no trans fat," she said, "so we’d have to find another distributor, which means having to hit another minimum delivery, usually $250 to $500. I have to figure out where to put it [in my tiny kitchen]." Woodward said even though costs could go up by as much as 20 percent, she won’t be able to increase prices. Scott Smith of the Max Restaurant Group stopped using shortening to fry foods because consumers were concerned about it in their diet. He said only a few items like coating chocolate have trans fats, and he’s discussing with suppliers about substitutes. "I have spoken with a few of our vendors about this," he said, "and they’re very aware of it. I asked one to generate a report for us of the items we should be conscious of." Smith said the switch is easier for upscale restaurants, but it’s harder for other parts of the industry. "I would imagine there are a lot of fast food restaurants and food manufacturers that this change could be devastating to," he said. "Their business model has got to be built around having shelf life on their products." The American Heart Association recommends limiting the amount of trans fats to less than two grams per day, based on 2,000 calories of food consumed. Putting that in context, Wendy’s Double Stack burger contains 1.5 grams of trans fat. McDonald’s Big Mac has one gram, and Jake’s Wayback signature burger has 1.5 grams. When contacted by WNPR, Jake’s Wayback in Cheshire declined to be interviewed. The FDA is currently seeking public comments on how the proposed ban would impact small businesses, and how to ensure a smooth transition if a final determination is issued. The 60-day comment period ends on January 7, 2014. The Food and Drug Administration wants to get rid of trans fats in processed foods, such as donuts, frozen pizza and margarine. The agency now classifies trans fats as “generally recognized as safe,” but the proposed rules would withdraw that status. Trans fats have been shown to be a contributor to heart disease, and a dozen or so localities across the country have already banned trans fats from restaurants. If the Food and Drug Administration has its way, an era of food technology will soon end. 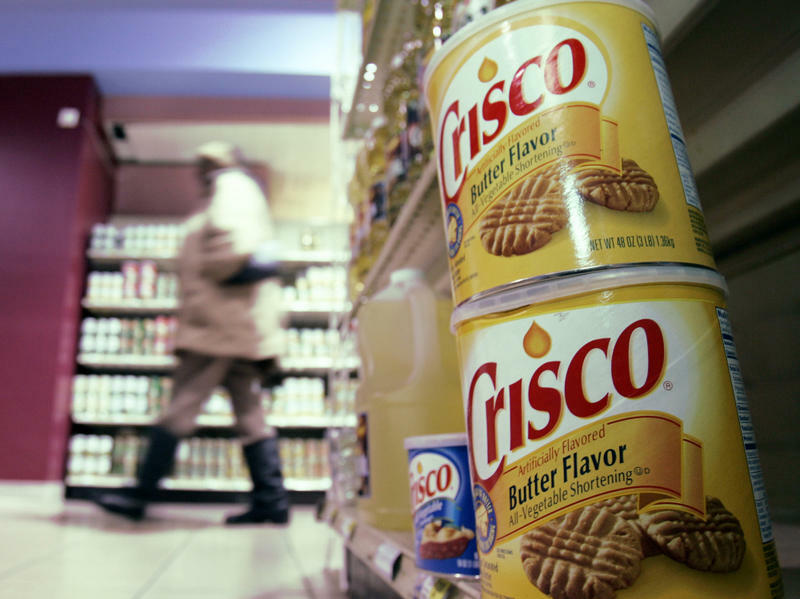 The agency announced Thursday it is aiming to ban partially hydrogenated vegetable oils from all food products. Margaret Hamburg, the FDA commissioner, said at a press conference that her agency has come to the preliminary conclusion that the oils "are not generally recognized as safe for use in food." If the agency makes this decision final, it will mean a complete ban on this ingredient. Vegetables that are genetically modified to resist pests have become a part of our daily diet, whether we like it or not. Several states have been considering legislation that would require the labeling of GMO products, but Connecticut could be the first to pass such a law. Opponents of the bill say there’s no health risk, and a law like this would pass on higher prices to consumers. 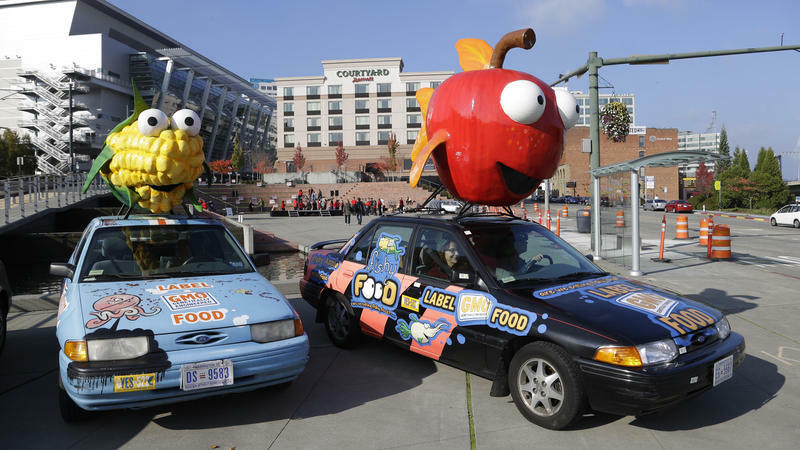 Voters appear to have defeated another attempt to require labels on genetically modified foods in Washington state. In early counts, the "no" campaign has what appears to be an insurmountable lead with 54 percent of votes. The ballot initiative would require labels on the front of packages for most food products, seeds and commodities like soy or corn if they were produced using genetic engineering.